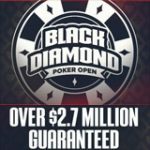 WinAllPoker.com has just added a Lucky Ace Poker $100 private freeroll to our poker freerolls schedule. 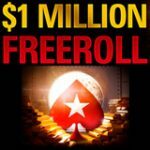 This freeroll is completely free to enter with no deposit required to join, just download Lucky Ace Poker and play for your share of the $100 prize pool. All poker players from beginners to advanced levels (even donks) can join us for this freeroll tourney on Saturday 10th October 2009. If you're new to LuckyAce Poker and you love to enter freerolls we highly recommend this poker room because they host a monthly $5000 special freeroll tournament which is free for all registered players to join. The best way to start your poker bankroll for free is to enter freeroll tournaments which pays out real money to the players who finish in top positions. Lucky Ace Poker is an excellent place to play freerolls each month all players can join the Lucky Ace Poker $5000 special freeroll tournament, which is a decent prize pool when compared to the regular poker room freerolls. 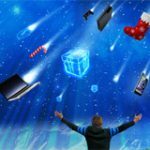 Although playing against 5000 players and reaching a payout position is not that easy to achieve. 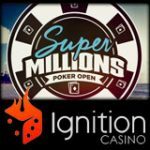 Sometimes a smaller prize pool with less players is a much easier way to win cash. 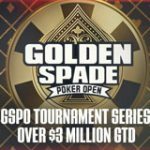 WinAllPoker is hosting a $100 Lucky Ace Poker private freeroll for players of all skill levels to join and have some fun playing poker online. Make sure you mark these dates and times on your poker calendar. To qualify for your entry into this online freeroll tournament, players must just download Lucky Ace Poker from the links provided on this page, sign up for a new account and you will be able to register for the event from the lobby. To make the tournament more interesting we have added Rebuys and Addons so if you get knocked out early with a good hand you can stay in the game and get your revenge. Deposit at Lucky Ace Poker and play for real money! 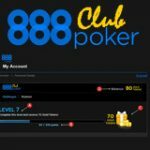 Players who make a deposit will get a free lifetime licensed version of the popular poker odds calculator Pokerbility when making a minimum deposit of $25. You will also get a Lucky Ace Poker bonus of 100% of your deposited amount matched up to $400 which is split up into two parts 25% is an instant poker bonus and the remaining 75% must be cleared by earning points playing real money games. No bonus code is required to get your Lucky Ace Poker bonus just download the software from the links above.